Welcome to our 2017 Christmas greeting! You know what’s also awesome? 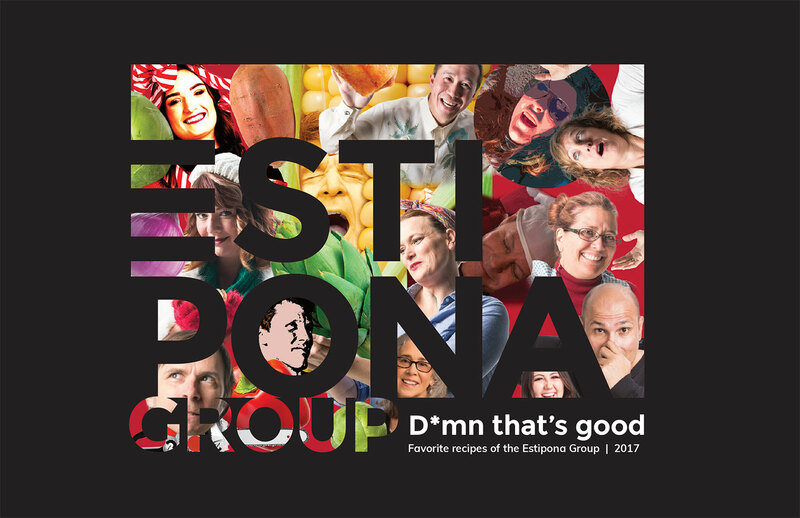 You’ve happened upon the Estipona Group’s alternative to a traditional holiday card. This year, we’ve created a recipe book including some of our holiday favorites, all of which are featured below as individual JPEGs. So please, feel free to download and share away! Or if you’re feeling super spunky, then download the entire recipe book here. Regardless of why you’re here or how you’re sharing, we’d like to take this moment to say: Thank you for being a part of our family, and happy holidays from us to you. And now we’re off to find other ways to spread the nomnomnom love. Did you know that while nomnomnom.com is NOT available, nomnomnomnomnomnomnom.com is? That’s right, friends: Seven “nom”s. Any takers? Just thought we’d throw it out there.